Space debris is considered to be the prominent issue facing the arena of outer space security and safety. More than 57 years of space activities by the space faring nations have left a debris environment that is self-perpetuating and threatens to render useless the outer space environment particularly in low-earth orbit. Space debris ranges in size from fragments less than a millimeter in diameter to complete spacecraft many meters in diameter. The nature of this debris includes intact satellites, fragments from exploded rocket bodies, fragments from collisions, and objects from extravehicular activities. Addressing the issue of space debris is two-fold. First, there is mitigation, which through practices like the space debris mitigation guidelines promulgated by the UN is intended to decrease the growth of space debris. These guidelines are not binding upon member States of the UN and only a few of the space-faring nations have implemented them into their space programs. Space debris remediation is another matter. Implementing remediation methods is still in its infancy, and doing so faces substantial technical, financial, and political hurdles. Additionally, space debris remediation also faces legal issues. This essay and its counterparts will attempt to identify some of those legal challenges and their potential solutions. The most prominent issue surrounding cleanup of orbital space debris rests with Article VIII of the Outer Space Treaty in which space objects such as nonfunctioning satellites still belong to the country or countries that launched them. There is no right of salvage analogous to the right found in maritime law. This means that even though a satellite may not be functioning, this does not mean that it has been abandoned, and without consent from the nation that launched and operates the satellite, it cannot be disposed of or otherwise interfered with. This situation is further complicated by the fact that international space law deems fragments and components from space objects as individual space objects in and of themselves, which would require identification to determine the owner and either individual or blanket consent to remove it from orbit. 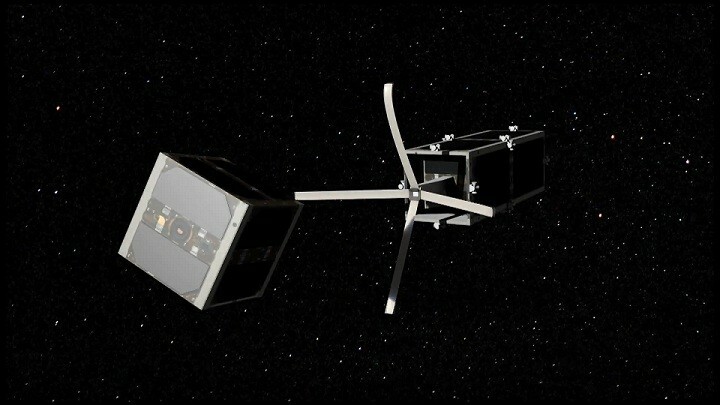 Active debris removal satellites like the proposed CleanSpace One will be limited in their targets by debris ownership issues (Credits: EPFL). Ancillary to ownership are issues dealing with licensing and compliance with International Traffic in Arms Regulations (ITAR). Methodologies to deorbit intact derelict satellites may include the use of mechanisms that will rendezvous, attach to, and physically move the derelict from a stable orbit to either a graveyard orbit where it will not interfere with other space objects or into a less stable orbit that would ensure the destruction of the derelict within a short period of time. This methodology of space debris removal requires an intimate knowledge of the spacecraft so that an effort to deorbit it would not result in fragmentation and the creation of additional space debris. ITAR issues could also be triggered by private investment in technology being developed by non-governmental organizations outside of the United States who would be performing space debris removal activities. Disclosure of sufficient technical details regarding the derelict spacecraft would implicate intellectual property, including confidential and proprietary technical information as well as patents. Licensing agreements between the owners and former operators of the derelict satellites would have to be negotiated, as would confidentiality and nondisclosure agreements to protect the rights of the owners. Furthermore, ITAR issues could arise if a derelict satellite registered to the United States is slated for removal by a methodology operated by a foreign government, especially if exporting of spacecraft-related technical data outside the United States is involved. Before exporting and subsequent satellite disposal could take place, licenses or other waivers would be required to address issues that might arise from ITAR. Any discussion of legal issues would not be complete without noting the issue of liability. 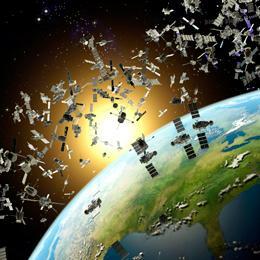 Removal of space debris will presumably be carried out by governmental and nongovernmental organizations (NGOs), either exclusively or concurrently. Removal of space debris is not without risk and, regardless of whether NGOs or governmental organizations are performing the activity, Article VI of the Outer Space Treaty requires that the country under whose jurisdiction they fall retain responsibility for their activities and any accidents during their activities. Complicating the responsibility under Article VI of the Outer Space Treaty, the Liability Convention takes the issue of liability in Article VII of the Outer Space Treaty a step forward. The Liability Convention builds on Article VII of the Outer Space Treaty. The Liability Convention envisions two scenarios where damage could be caused by a space object. The first scenario envisions a space object that causes damage to the surface of the earth or an aircraft in flight, which applies a strict liability standard. The second scenario envisions an event where a space object causes damage someplace other than the surface of the earth, i.e. outer space or another celestial body, and applies a fault standard. However, before the legal issues surrounding space debris remediation can be addressed, the most pressing issue is to define the term “space debris.” The term space debris is used commonly enough when discussing the veritable junkyard of expended space objects in orbit as well as naturally occurring objects­ such as asteroids. In the next installment the author will offer a definition of space debris that will integrate the current body of international space law and and will facilitate the solution to some of the legal issues surrounding its removal.